Help your child get ahead of the curve with a winter break study session! 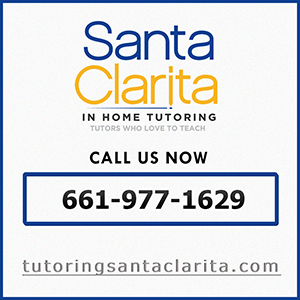 If your child has been struggling academically working with a tutor over winter break in Santa Clarita may be exactly what they need to get caught up. For many students winter break provides some much needed relief from the stresses of school. However the few weeks off between the two semesters often causes students who struggle with retention to fall behind. In order to assure that your child doesn’t lose any of the information that they have learned in the fall, you may want to hire a tutor to work with them. Winter break tutoring sessions can also be used for SAT prep. 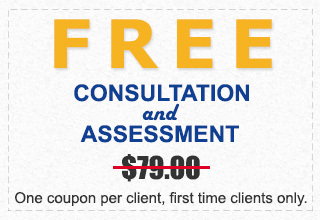 Finding a winter break tutor is easy when you use our tutoring services. Our experienced tutors are dedicated to making learning fun for students. We customize our programs to work with students where they need help the most. Our staff assesses each child and then creates a unique study plan that suits their learning style. Our commitment is to making sure that students are able to succeed. Any child can improve! If your child is struggling academically the winter break is an excellent opportunity to provide them with one or two extra study sessions with one of our winter break tutors in Santa Clarita. Tutoring is a proven way to help kids understand their classroom materials so that they can improve their grades. Two University of Chicago doctoral students completed research as part of their dissertations that compared the learning results of students who were instructed under a variety of conditions. In short, they found that working with private, in-home tutors is BY FAR the most effective way to learn. Their research showed that mastery of a subject was found to occur in 20% of the students in a classroom setting, 70% in a group learning center setting, and 90% in the students who received private, one-on-one, in-home tutoring. Perhaps the most striking findings were that the average privately tutored student performed two standard deviations better than the average student in a normal classroom. This means that the AVERAGE student receiving private one-on-one tutoring performed better than 98% of the students in a normal classroom. Needless to say, this is an extraordinary difference. This research was not funded by or intended to promote one-on-one tutoring companies. The research was part of a study to try to find methods to improve classroom teaching so that it could be more competitive. The results I have highlighted are part of the “benchmark” data that shows how far traditional classroom teaching has to go to be competitive. This is no slam on teachers, or schools. I taught in public schools most of my career and I have great respect for teachers and school administrators. Schools are constrained by standards and budgets and just cannot afford to provide the individualized instruction that one-on-one tutoring from qualified instructors can deliver. But make no mistake, the differences in how much students learn are huge. All students have the potential to reach the high level of learning that comes from private tutoring. Private tutoring is not just for students struggling to achieve acceptable results in the classroom. Private tutoring delivers a level of challenge and subject level mastery that is virtually impossible for even the best and brightest students to achieve in a normal classroom setting.